Nestled among the towering Sitka Spruce on the western shore of Naden Harbour, Queen Charlotte Lodge is ideally situated to intercept salmon as they return to the shallow coastal water. 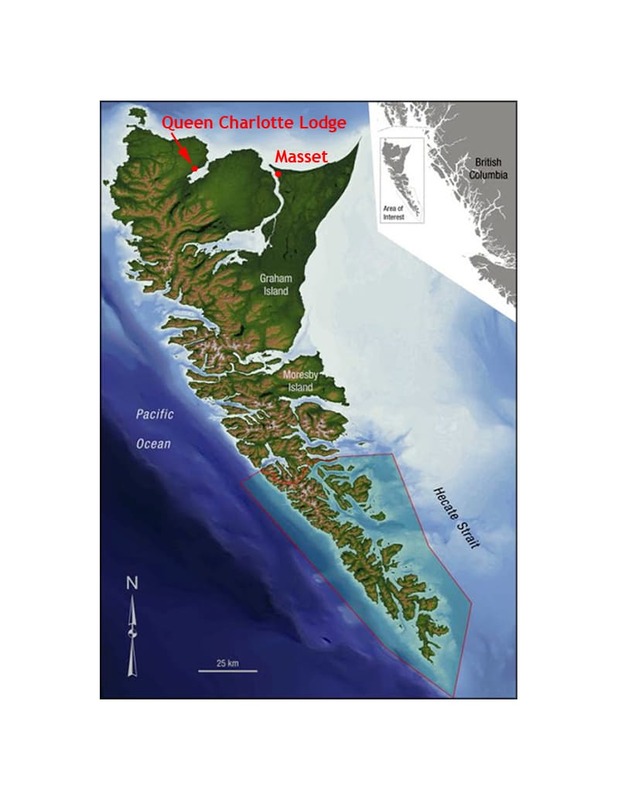 Guests of Queen Charlotte Lodge fly aboard our chartered aircraft, Air North’s Boeing 737-200 for the 1.5 hour flight from Vancouver’s SOUTH TERMINAL AIRPORT to Masset, BC. Upon arrival in Masset, guests board a 12 passenger Sikorsky S-76 helicopter for the scenic 15 minute ride into the Lodge. Taking in the splendid view from the lodge rooms just after arrival, you almost forget about going fishing! I can’t say enough in regards to how beautiful this resort. The location is outstanding in a sheltered area, away from the big ocean swells. The fishing was great this weekend we went (July 8th-11th, 2016), the weather was a lot better than I was expecting. The food we had was fabulous, Chef Amanda. The only thing that is better than the beautiful scenery and fabulous fishing, is the service. Both incredibly professional and personal, I can’t think of much that the place would be able to improve.